Compression clothing is sort of a fixture at endurance events. Athletes wear them during training, while competing and during recovery. All this is done based on the belief that those skin-tight socks or stockings or sleeves or cuffs will help improve performance and speed up recovery. But, is there any truth to this? Does compression clothing work? Research regarding the effectiveness of compression clothing is confusing and the results are mixed. Part of the problem with deciphering all this information is due to the fact that compression clothing was intended as therapeutic device for treating edema, varicose veins, thrombosis and other vein disorders. Since the original purpose of compression clothing was to help unhealthy individuals, most of the definitive research out there is focused on that specific application. When it comes to athletes, though, the issue gets complicated even further depending on when you’re thinking about using compression clothing. There are very few studies out there that have tried to answer the question about whether or not compression clothing can improve performance in healthy individuals. Keep in mind, though that “athletes” and “healthy individuals” are two very different populations in the lab. The circulatory and cardiovascular systems in these two groups will very likely responded differently to stimuli. So far, we have no solid answer. A few studies have found that wearing compression clothing during exercise improved blood flow in patients with unhealthy veins, while other studies produced conflicting results. The good news is that no study has shown that compression clothing produces bad results when worn during exercise. So, if you want to wear it while training or competing, there’s no reason not to. A recent study, however, offers a glimmer of hope. This study, in a unique turn, tested compression clothing worn after high-intensity running workouts. Experienced runners performed a series of intense running drills and then were given either compression clothing or a placebo. The placebo outfit was made out of similar materials to simulate the feel of real compression clothing. Both of these groups wore their garments overnight. The next day, each group was asked to perform more drills. Surprisingly, the compression group put in improved times after wearing the clothing. This study not only suggests that, when used properly compression garments can actually speed recovery but it also hints to a particular use in multi-day events. If you take part in competitions such as tournaments, which require you to push yourself day after day, wearing compression clothing while your sleeping might give you an edge the next day. As a word of caution, though, remember that this is just one study. The researchers behind these findings don’t fully understand the mechanics at work and, as we discussed, other studies have produced conflicting results. Ultimately, more studies are need to really know whether or not compression clothing works. That being said, there’s no harm in trying! Do you have any experience with compression clothing? Please share your thoughts with us in the comments. Books: Running-themed books made headlines and became bestsellers recently. Favorites include “Born to Run” by Christopher McDougall about ultramarathons, “Marathon Woman” by Katherine Switzer–the first woman to enter the Boston Marathon, and “My Best Race” by Chris Cooper, a compilation of essays from top runners on their races and feelings about them. 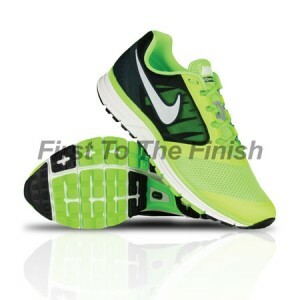 Neon shoes: The newest craze in athletic footwear is neon, bringing back remnants of the 1980s. From lime green to bright yellow to pink, the shoes certainly stand out and draw the eye down to your feet. Bonus: they make you more visible for safer running. 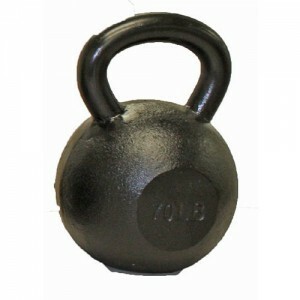 Kettle bells: While they look rather strange, like a shot put with a handle, a kettle bell workout really increases strength. If your runner is looking to build speed in 2014, a pair of kettle bells and workout video is an option. Warm-up suits: January is just around the corner, which means temperatures remain chilly and will for the next few months. A warm-up suit provides protection from the cold and keeps a runner’s muscles ready to go. Music: If your runner likes to use his or her iPod or jam Pandora on the cell while running, a gift card to iTunes is an option. It lets them choose whatever song they like. This is especially helpful if anyone on your list is a challenge to buy for–gift cards then work like a charm. As much as you might look forward to the holidays throughout the year, they do bring with them a few fairly large roadblocks when it comes to your training. First of all, there’s the weather. Plus there’s the added stress of being around family and having to make sure everything is just right. Plus, the food isn’t exactly what we would consider “healthful.” And all of that is on top of the fact that plenty of holiday-centric events start popping up between work and school that can take away from your training time. In fact, according to the University of Texas, some people gain as much as 7 pounds over the holidays. So, to help you avoid the annual weight gain, we’ve compiled some tips for staying in shape during the holidays. Since all the major events are pretty much done for the season, now’s the time to give some attention to other training modalities. Taking some classes at the gym in something you don’t have a lot of experience with is a great way to round out your training, learn something new and stay out of the cold. Taking some time off from your primary sport can also help you avoid overuse injuries in the long-term. This is especially true if you can take this forced indoor time to hit the weights. Strength training can improve your performance and muscular endurance regardless of what sport you normally compete in. Weightlifting has the added benefit of boosting your metabolism for a few days after your workout. That could be a valuable little change when it comes to all these holiday treats. Drink a full 16oz glass of water before every meal. The water will fill you up and make you less hungry, taking up room that would normally be left vacant for all those foods you’re trying to avoid. I know it sounds a little ridiculous but simply slowing down could also help reduce how much you eat by the end of your meal. The hormones that control your appetite, leptin and ghrelin, take time to do their jobs and get their message to the brain. If you eat too quickly, you might find that you’ve over eaten before you even realized it. One more little psychological game you can play with your appetite involves cleaning your teeth. Think about it: If you immediately went and did a really thorough cleaning – brush, floss and rinse – the thought of cramming down any more food doesn’t seem all that appealing anymore, does it? These are just a few ways to stay active and fit during the holidays. Please share your tips in the comments! You know sleep is important so I won’t spend a lot of time trying to convince you. You’ve read tons of articles and heard countless experts talking about how sleep getting enough sleep lets your body and mind recover from the stresses of the day. But “getting enough sleep” is much easier said than done. During the week, you have work and family keeping you busy. On the weekends, which are supposed to be a period of rest, you might sacrifice your chance at sleep to get other stuff done. Or maybe you just can’t give up the opportunity to have all the fun you gave up during the week. Recent studies, though, have shed some light on the full impact of these sporadic sleep patterns. Many of your biological systems, including your metabolism, are regulated by your internal clock. That clock is easily affected, for the good or the bad, by your sleep patterns. While you sleep, your body goes through certain maintenance routines that help to keep you running optimally during the day. When you disrupt those patterns, and your body doesn’t know when to expect to be asleep, these functions are also thrown off. The same applies to the time you wake up, as well. A recent study, published in the American Journal of Health Promotion, found a strong link between consistent sleep and wake times and a healthy body weight. The study participants whose sleep schedule had a variation of less than one hour had a lower body fat percentage than those who allowed their schedule to lapse. So, if you can keep your sleep and wake times the same every day, you can support all your fitness efforts during the day. Sometimes, though, we get in the habit of depriving ourselves sleep with the hope of making it up later. Keep in mind that this study looked at the variations in sleep from day to day. Even if you keep you schedule the same during the week but sleep in on the weekends, you might not be doing yourself any favors. A study conducted by researchers at Penn State University College of Medicine looked at various markers in people who routinely used the weekends for catch-up sleep. Specifically, they watched the subjects’ daytime sleepiness, attention span, inflammation and cortisol levels. Here’s the interesting thing: Every one of those measurements returned to normal after a weekend of rest except for attention span and cortisol. So even if you’re exhausted at the end of the week, you probably won’t feel completely focused and refreshed after a weekend of recovery. But, this recovery sleep technique isn’t completely useless. It just isn’t a complete fix. The best option is maintaining a regular sleep pattern. Napping can also be a powerful tool towards keeping you rested and recovered. Several studies have found that, even after a night of limited sleep, a nap can reverse many of the negative side effects.